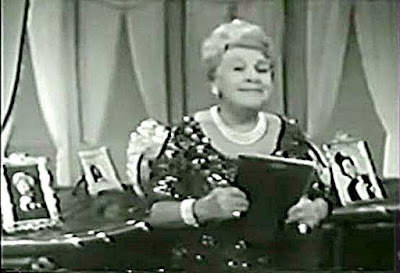 The last of the Red Hot Mamas, the great Sophie Tucker is seen here on her final network television appearance originally broadcast on The Ed Sullivan Show in October 1965 in color. Sophie lived until February of the next year. By this time, her voice was not what it used to be, so she talk/sang her songs, but her showmanship was unsurpassed. 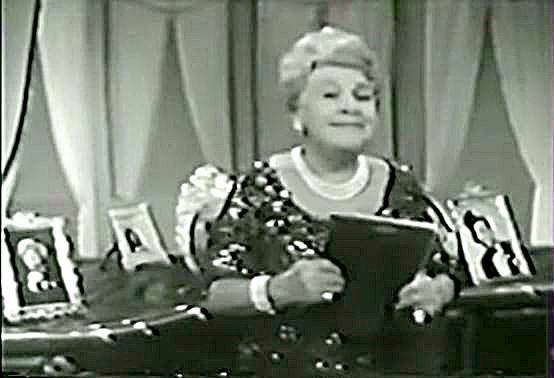 With their photos set in frames on the studio's grand piano, Sophie sings the most popular songs of Ted Lewis, Fannie Brice, George M. Cohan, Eddie Cantor, Maurice Chevalier, and her own special song, Some of These Days. So take a 54 year stroll down memory lane and enjoy! 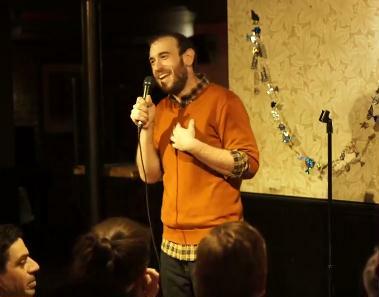 Eitan Levine is a New York based writer and comedian/human theme park . Through articles, videos, a documentary series and live broadcasts his work has been seen by tens of millions across the globe. He writes for Elite Daily, an American online news platform founded by David Arabov, Jonathon Francis, and Gerard Adams. The site describes its target audience as millennials. Levine was born and raised in Springfield, NJ. He attended an all boys Jewish school and studied in Israel for a year. He has been doing stand up since the age of 15. One of his most impressive attributes is the title of "Funniest Comic in Israel" during his year abroad. He has opened for comics such as Judah Friedlander and Daryl Hammond, and has appeared at Carolines comedy club in New York. 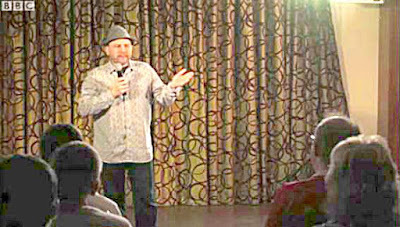 Here's Eitan in a recent comedy club standup set. Enjoy! 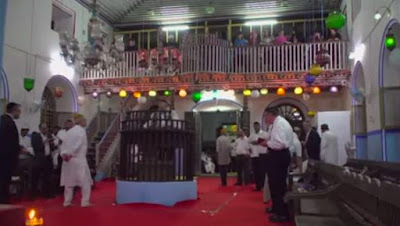 For 900 years there has been a small Jewish community in Cochin on India’s Malabar coast, living at peace with their Hindu, Muslim and Christian neighbors. It’s been a model of interfaith tolerance. But, as Fred de Sam Lazaro reports, the community has dwindled since the state of Israel was established and now one of the last Jewish survivors, who maintains the synagogue, says he plans to leave in a few years – for Israel. It's the last Monday in February, and we hope the Northeast is seeing the last of the cold, snow, and ice that's been causing flight cancellations and power outages. But since it's Monday, it's also time to start the week off with another old joke. 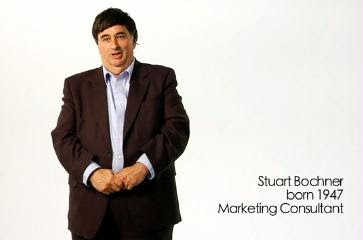 This one is told by Marketing Consultant Stuart Bochner from the archives of Old Jews Telling Jokes. 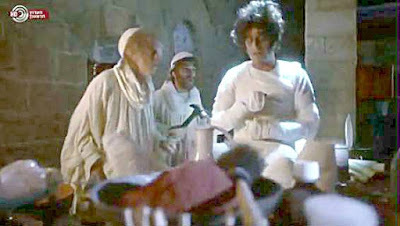 The series ran for three seasons on Israeli TV, all in Hebrew. 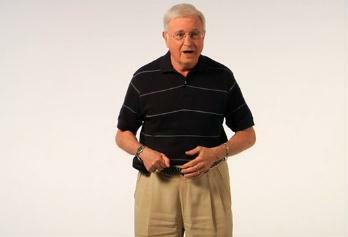 Some of the half-hour episodes were divided into video clips and published on YouTube with English subtitles. Here's one about the Golem from Prague. This call for secular reclamation of Jewish identity and heritage is part of a national trend in Israel. In Jerusalem, the New Spirit youth movement is working to transform Jerusalem into a pluralistic and creative community. Tel Aviv, the stronghold of secular Israeli life, now offers beachside Friday night services by Beit Tefillah Israeli and course offerings at Alma, a secular yeshiva (founded by now-Knesset member Ruth Calderon). In these and other spaces, today’s young secular Jews reclaim their identity, and see Judaism as part of their heritage, even if their mode of connection would never get an Orthodox stamp of approval. 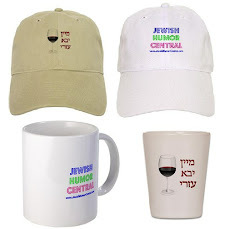 This video clip, like all the others in the series, may offend some readers who are not open to satirical interpretations of the scriptures and satirical views of Jewish life through the ages, but with Purim just a few days away, we hope you'll have a few good laughs as we continue the levity. Once again we welcome Shabbat with another version of the Friday Night prayer Shalom Aleichem. 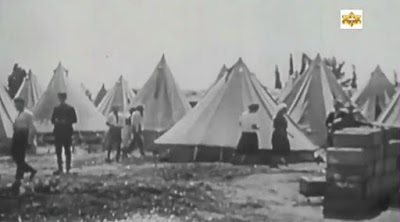 This one comes from a Russian source and is set to a film chronicling the sights of Israel from its founding days to the present day. Throwback Thursday Comedy Special: Sid Caesar and Imogene Coca in "The Hickenloopers: Life Begins at 7:45"
It's Throwback Thursday again and today we get another chance to go back 69 years to 1950 and another episode of The Hickenloopers on Your Show of Shows. 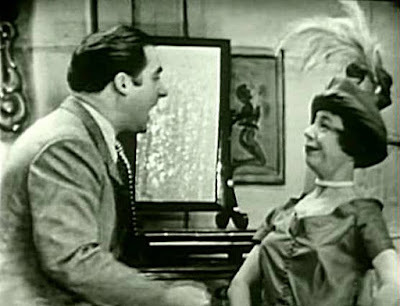 In this sketch, Sid Caesar plays a frustrated husband trying to get his wife (Imogene Coca) to get ready for an evening at the theater. Jewish, Welsh and a stand-up comedian, Bennett Arron says he 'has a dragon on one shoulder and a Rabbi on the other'. This is Bennett's personal journey and mission to discover what happened to the Jews who once lived in great numbers in Wales. Originally from Port Talbot and the last Jew to attend Port Talbot's Glan Afan comprehensive, Bennett's back in his home town to perform his critically-acclaimed 'Jewelsh' comedy show. The journey takes Bennett through South Wales, revealing both a strong Jewish-Welsh heritage and examples of Welsh anti-semitism. In this two-part video, Arron visits his homeland to research his roots from the days when his grandfather, Benjamin Aronovitch, came to Wales from Kovno, Lithuania in 1913 to find a better way of life in the booming steel town of Port Talbot. 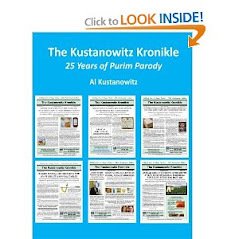 Today is Purim Katan, or little Purim. It is the 14th day of Adar, but since this is a Jewish leap year, it's Adar I. Whenever we have a leap year, Purim is celebrated on the 14th day of Adar II. But that's not a reason to defer all merrymaking until March. As the saying goes, Mishenichnas Adar marbim b'simcha (When Adar arrives, we increase our happiness.) But why wait for Adar II when we can get off to a happy start in Adar I? That's exactly what happened at Le Club in Deerfield Beach's Century Village in South Florida last night. 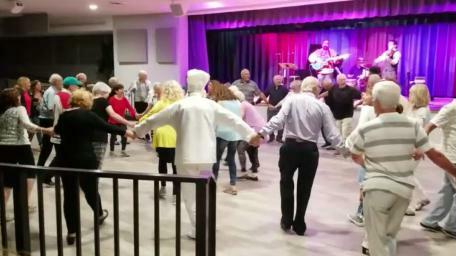 As Purim Katan arrived, the 300+ Canadian residents who winter in Deerfield Beach reacted to the invitation of Cantor Adam Stotland to take to the dance floor and join him and Rabbi Aubrey Glazer of Montreal's Shaarei Zion Congregation in singing and dancing to Hevenu Shalom Aleichem, L'Shana Tova BiYerushalayim and Oseh Shalom Bimromav. 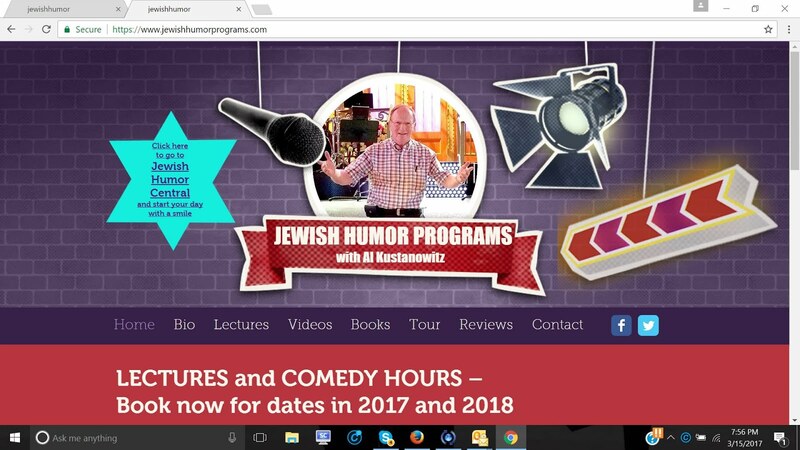 We're still in South Florida doing Jewish humor lectures and performances and we'll still be here in March when Purim arrives. After last night's preview, we know where to be for the real thing. Another Monday, another joke to start the week. 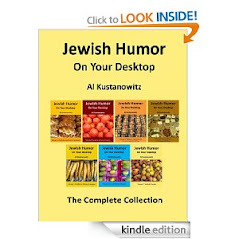 Once again we go to our favorite joke source, Old Jews Telling Jokes. 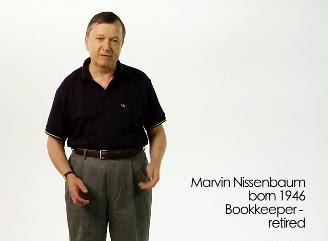 This week we found another oldie but goodie told by retired bookkeeper Marvin Nissenbaum. Over the years we've posted lots of video clips of other ethnic groups tasting and commenting on Jewish food that they're trying for the first time. But the clips keep coming and we'll keep posting them. How would Irish people who have never experienced the taste of matzo ball soup, bourekas, brisket, and maror react to their first taste? 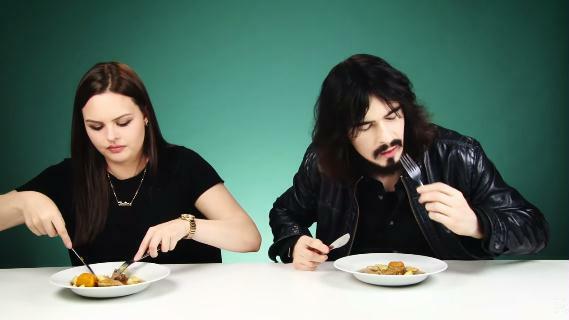 Watch the video and their reactions. Enjoy! Wasn't it erev Shabbat just a few days ago? Seven, to be exact, and here it is again. This week we're getting ready to welcome another Shabbat in sunny Florida. To get in the mood, we're posting our 26th version of Shalom Aleichem, this one by the BaRock Orchestra, a Teaneck, New Jersey based group of musicians. BaRock ' s talented musicians come from a broad range of musical backgrounds and each one contributes something special and unique. BaRock Orchestra's dedicated teams of musicians bring energy to today's world of Jewish simcha music. Enjoy and Shabbat shalom! Stand-up comedian Jackie Mason was back in rare form on The Dean Martin show 52 years ago in 1967, three years after the finger-pointing incident on The Ed Sullivan Show that caused Sullivan to ban him from future appearances. 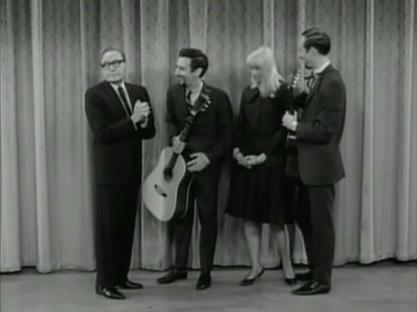 As is evident from this video clip, Mason had fully recovered his timing and comedic talents, putting on a masterful performance, with commentary on government spending, President Johnson, taxation, his psychiatrist, and a brief reference to the Sullivan incident. 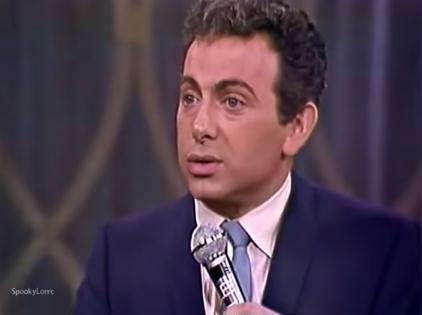 Enjoy this nostalgic look back with the original Jackie Mason. 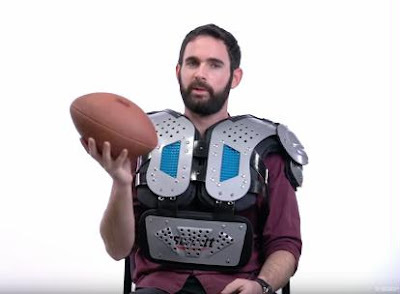 Ari Ginsberg is an accountant from Teaneck, New Jersey, who likes to make people laugh. 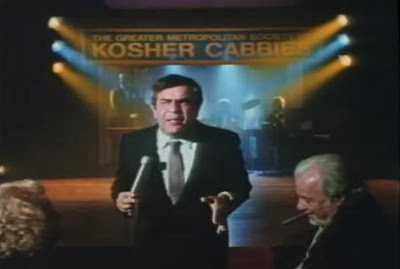 He has performed at New York's Gotham Comedy Club and in area synagogues. Comedy allows Ginsberg to better express himself. "I talk about my childhood," he said. "I was so bad at sports I got picked last — and I went to the Jewish school." "I have a cynical type of view on some of the things in the Orthodox world. The materialism bothers me, so this is an outlet to be more expressive in a humorous way." 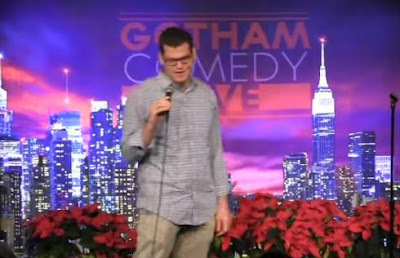 Here's Ari at the Gotham Comedy Club. Enjoy! A Joke to Start the Week - "Chicken at the Movies"
It's always our pleasure to help you start the week off with a smile, and this Monday is no exception. Once again we find a classic joke from the archives of Old Jews Telling Jokes. If New York's Catskill Mountains were ever a part of your life, you should be spending this month at the Levis Jewish Community Center in Boca Raton, Florida, where the Catskills are coming alive in a month-long series of programs centering on Catskills nostalgia. With 15 lectures, four live performances, nine feature films, and a museum gallery exhibition, Greetings from the Catskills, now underway through March 1, is a nostalgic trip down memory lane that you will treasure. To get you started, here's the trailer for the 1987 film Sweet Lorraine, starring Freddie Roman, Maureen Stapleton, and Trini Alvarado. 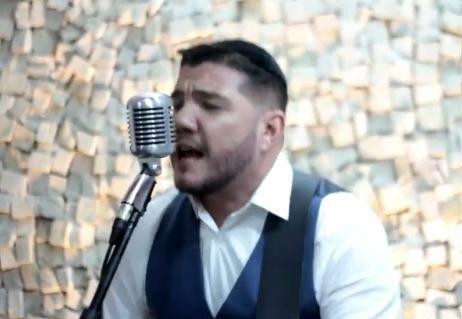 Alex Michoel Tavares is the new Jewish Music sensation in Brazil. 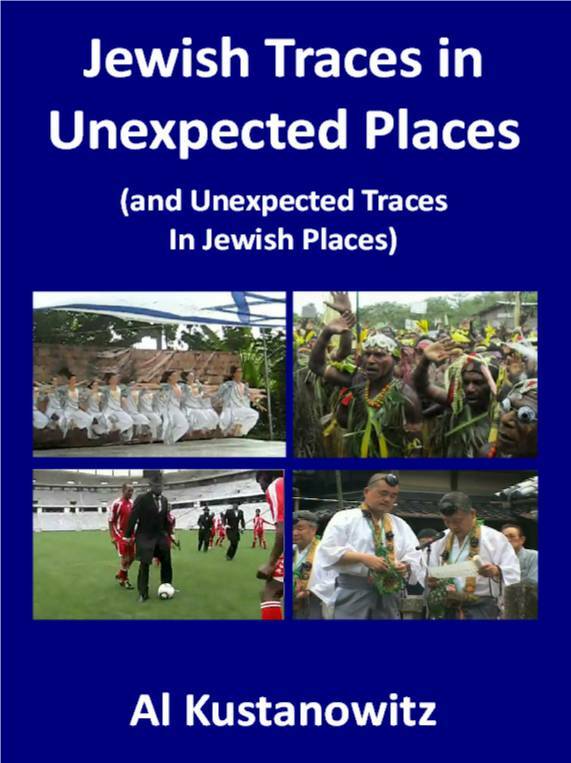 His new single (cover) music video of Adon Olam was shot at the Synagogue Shaar Ha Shamayim in Belem, Para – Brazil. Adon Olam (Hebrew: אֲדוֹן עוֹלָם‬; “Eternal Lord” or “Sovereign of the Universe”) is a strictly metrical hymn in the Jewish liturgy written in lines of eight syllables; more precisely, each line is composed of two segments of one yated and 2 tenu’ot, which indeed makes 8 syllables. It has been a regular part of the daily and Shabbat (Sabbath) liturgy since the 15th century. Its authorship and origin are uncertain. It is often attributed, as least tentatively, to Solomon ibn Gabirol (1021–1058), who is known for his Hebrew poetry, but there is no solid evidence apart from the quality of this hymn and the language appears to be older. It has also been attributed to Rav Hai Gaon (939–1038) and even to the Talmudic sage Yohanan ben Zakkai. Although its diction indicates antiquity, it did not become part of the morning liturgy until the 15th century. 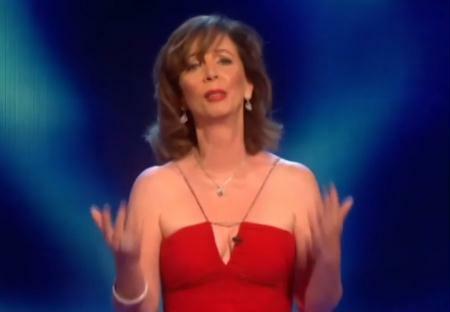 We've been big fans of Rita Rudner ever since she started to appear on late night TV in the 1980s. One of the hallmarks of her comedy is that it's clean, free from the vulgarity and shouting that many stand-up comics find necessary. Her delivery is demure, tasteful, full of wry observations, and very funny. Rudner started her career as a dancer, then switched to stand-up comedy about her dating experiences. She married British producer Martin Bergman about 30 years ago and they have a daughter. She is fond of Jewish humor but generally reserves it for when she performs for Jewish audiences. Here's a video clip of a performance by Rita in London where she explains what's the point of marriage. 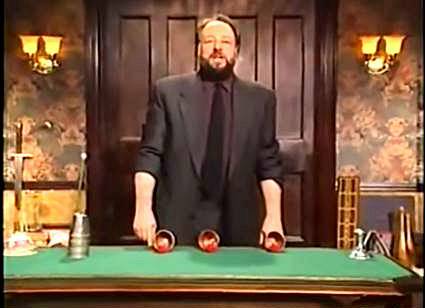 With all the news sites that we check daily to find gems for posting on Jewish Humor Central, we somehow missed the obituaries for Ricky Jay, the master magician, sleight of hand artist, actor, and writer who died last November at the age of 72. Born Richard Jay Potash in Brooklyn and raised in Elizabeth, New Jersey, Jay was known for his card tricks, card throwing, memory feats, and stage patter. He also wrote extensively on magic and its history. Mr. Jay could hit a target with a single playing card at 190 feet and could aim multiple cards at a fresh watermelon, piercing its flesh time after time. But even moviegoers and television viewers who had little interest in magic had opportunities to see Mr. Jay in his 40 or so film and TV roles. 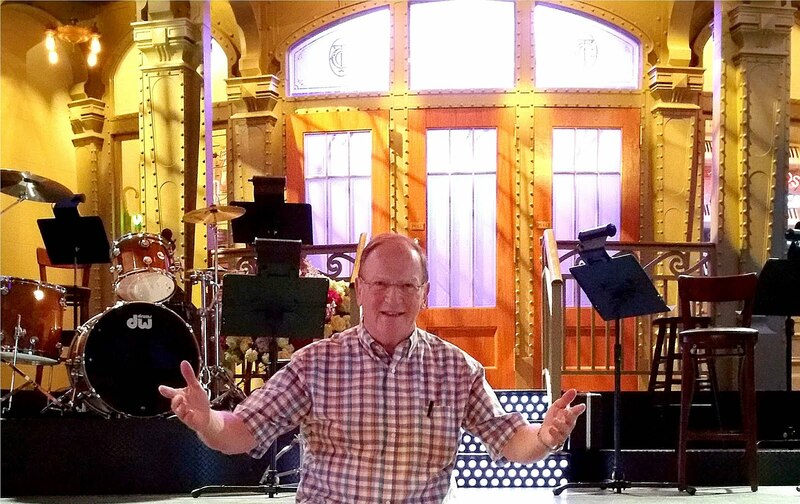 Over the decades he was a regular on talk shows hosted by Merv Griffin, Mike Douglas, Dinah Shore, Johnny Carson, David Letterman and Conan O’Brien and on various incarnations of “The Tonight Show,” beginning in the Carson era. In this video he entertains an audience with his Cups and Balls routine, the oldest effect in the history of magic, while delivering a history lesson on the origin of the game.